Ahh, who hasn't ever envied the life of a cat? They come and go as they please, are fed on demand, and sleep anywhere and all the time. 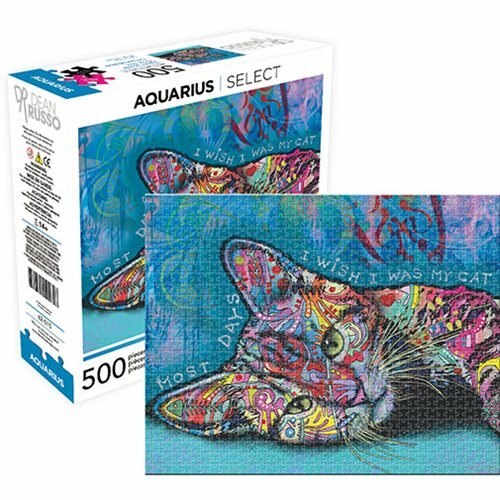 This 500-piece puzzle features a lazy kitty with the caption, "Most days I wish I was my cat".